Takuto Sawada (Haruma Miura) is an ordinary university student. One day, he learns that he has ALS (Lou Gehrig’s disease) and doesn't have much time left to live. Instead of wallowing in despair , Takuto tries to live his life actively. whytedaises Jul 29 2017 6:01 am This was a touching drama to watch. Love the actor, he is one of my favorite japanese actor. I have a cousin who has Lou Gehrigs at the young age of 26. One morning, my aunt went into my cousin's room to ask her why she was not getting up, only to find that she could not move her arms and legs. She was wheel-bound for a few years and fortunately, as far as I understand, she gets therapy treatment and is continuing her life. Tyrone Hoenderdos. Jul 25 2017 12:51 pm It changed my life forever. As I think about this Jdrama, tears start appearing with no end in sight. This Jdrama is not just a drama but raw life itself. JustAGuy Jul 03 2016 8:30 pm (SPOILER ALLERT) My friend told me to watch the first episode. First thing, I don't watch drama series. But still, I watched the first episode because of my curiosity. Secondly after I watched the first episode, I found this series will have a sad ending. I really don't want to continue watching at that time. But somehow I found the concept is really interesting, that I finished watching it until the last episode. Somehow the director made this film has a really beautiful ending, though the ending was not what I really expecting (Takuto totally healed). What I'm trying to say here is I think this J-Drama series, is suitable for anybody, even for those who doesn't watch drama at all. I have no regret that I've finished the series. Charlotte Jun 08 2015 8:19 am This is the best drama of Haruma Miura. I always watched all of his dramas and movies. I can say this one is absolutely amazing. Tith Sampiseth Mar 30 2015 4:02 am No word to say just want to say that . Selena Mar 16 2015 3:28 pm This was the first Japanese Drama that I ever watched, and what a first Japanese Drama it was. I was just curious when I clicked on it, and I'm glad I did. It was emotional and moving and hard to stop watching. The acting done by Haruma Miura is amazing. Because of him and Mikako Tabe, the fact that they're both good actors and so cute together, I started watching an anime that had a live action version made with them as the main characters again. I can't wait to finish the anime and compare and see the two of them acting again. Dianne Dec 16 2014 2:13 pm I love this drama! Great acting, amazing story, and wonderful story-telling! Cara Sep 11 2014 9:38 am I am at a loss of words for this fantastic drama.Its one of the best I have ever watched. MeMe Aug 11 2014 8:41 pm Very Good. Very Sad and Heartbreaking. L Analu Jul 04 2014 2:04 pm SUPERB. Miura's portrayal of a person's incredible struggles because of the harshness of ALS & Tabe's portrayal of a selfless, compassionate, faithful soul are OUTSTANDING. But this dorama gave even more than EXCELLENT acting. WELL DONE to the writer, director & producers who really "open our eyes" to consider what a person who has a debilitating disease may think, feel, have to decide, battle, suffer & endure, often silently & by himself/herself, time after time about so many changing situations, & we still may never fully know or understand what he/she is experiencing. Takuto's lecture in final episode 11 is an EXCEPTIONAL summary of some most important things to learn in life: (1) Have true, everlasting sensitivity & compassion for the afflicted, elderly, widowed or needy persons. Give help & support by considering, asking & finding out what they may need, be thinking, feeling, suffering & enduring. Whether we are young or old, whether we are companion, family, friend, physician, caregiver, even as citizen, we can always be caring for unfortunate persons. (2) No matter our personal situations, realize there is a purpose in life for everyone & to live it the very best we can. But if we do not know what the purpose of life is, search & find out. When our life is difficult, seek & ask for help to be able to live our purpose in life. (3) Above everything else, our most valuable treasure & wealth in life is our most precious loved ones instead of all the grand, plenty wealth of money, possessions, or positions in life. Ne, mina, I learned so much from this dorama. I hope we all may become sincere, genuine & everlasting in caring for others, especially for the ones who are suffering. txtlinda Jun 23 2014 9:51 am Just started this jdorama and i am getting hooked. It reminds me of Kimutaku "Beautiful Life". If life throw u lemons, make lemonade. Its not what life makes you but what you make of life. Adramelech May 06 2014 7:58 am everytime i watch the episode, its makes me cry :') I hope this drama never be forgot and I like when Haruma and Mikako always together like a couple,since i watch Kimi ni Todoke. I wish Asian Wiki always update new drama and movie rolled by Haruma and Mikako or one of them :) ARIGATOUUU!!! pokeyoakey Apr 03 2014 9:01 am Great drama with fine acting by all involved, especially Miura and Tabe. Mikako Tabe has to be one of the finest character actors in Japan today. For her to realize this at so younf an age is amazing. Let's hope she gets the type of parts, like Deka Wanko and Ooku, that she deserves. Rosie Mar 25 2014 7:24 am An outstanding drama,, superb acting by Miura-san for portraying such a devastating ailment with respect and dignity! The cast is superb! Thanks to the writers, producers and directors for tackling such difficult and social subject, educating us, engaging us while entertaining us. Miura-san, please continue challenging yourself as you are a superb actor. Congratulations! Mary Rose Mar 25 2014 7:12 am What a wonderful drama and what a superb acting by Haruma Miura-san. The supporting cast is wonderful as well but his acting tops it all. Haruma-san brings dignity and respect to a deadly ailment and shows a resolute strength in the way he deals with it! I hope to see more such hard topics depicted in the entertainment industry. My hat off to the writer(s), director and producers for taking on such a project. Thanks for educating us while keeping us interested, engaged and entertained. Haruma-san, I hope you continue taking on such demanding roles and prove again and again what a great actor you are! Congratulations! Cool Mar 22 2014 3:34 am Just finished watching the last episode glad that the ending is okay. I'm fine as long as it was not a sad ending. Icilma Mar 21 2014 8:24 pm Excellent drama! I love the entire cast. The acting is awesome. Watching this drama, I was never bored for a minuten and never thought about skipping a scene. I am nervous and excited about the last episode. Daiki Mar 15 2014 11:34 am This drama made me cried a couple of times, I've seen till episode 10 and I can't wait for the final episode which Idk how it'll go but if Haruma Miura die, I'm going to cry. Why does he always die in his drama/movie. Anyway, this drama is beautiful. It will ruin your life. springmoon Mar 10 2014 8:48 am The best drama I've ever watched!!! Everything from story to direction to the performances are topnotch!! Unbelievably realistic and true to life. Started watching for Miura Haruma but later got addicted to the drama!! Miura and Tabe compliment each other so well !! And Miura Haruma! What a talented actor!! He has given his best ever performance !! Arigatou!! rena Mar 09 2014 10:26 am MASTERPIECE!!!!! Excellent work from the writter,director,screnewritter,...........,actors,actreces!!! A must seen drama for everyone. ARIGATOU GOZAIMASOU!!!!! pokeyoakey Mar 07 2014 12:23 pm Once again, Mikako Tabe is outstanding. She needs her own lead role in a series again. Her and Miura work wonderfully together. As for episode 9...How on earth can Shigeyuki get away with what he did? Maricon Mar 02 2014 2:33 am The best drama ever!!!! 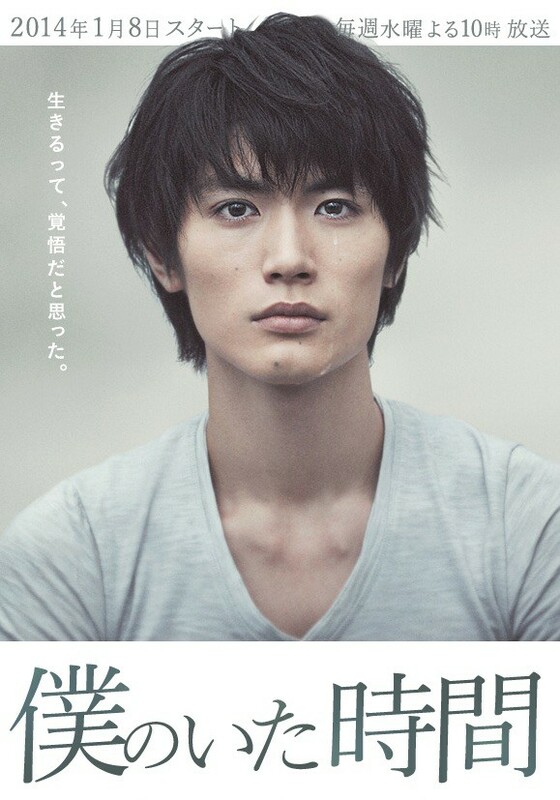 Very inspiring and the actors are all great especially, Haruma Miura. Tanya Torkhani Feb 19 2014 10:32 am I really feel sad for this young man he finally found someone to love him for him, a job that he really can make a difference helping people, when he gets this horrible illness that is breaking down his body, he has to lose everything because of this, I hope he finds happiness in the end! Namui Feb 15 2014 7:53 pm I love Miura Haruma, he's a great actor. While this story is sad I really appreciate that he's the main character, I want to be in the medical field and I have gathered inspiration to research more about this disease and hope for my future. The story shows that nobody has it easy in life, not even people who seem like they do. Thank you for making this drama and for Miura Haruma for portraying the main character flawlessly. ♥ (PS. I hate his parents, they have TWO sons not ONE if they didn't want two and weren't going to pay any attention to him or support him what for did they F-ing have sx. I hate parents like them. Every child needs support and they should be glad that Takuto is a great son and even though he has ALS he still work his hardest and enjoys life! My message: Fxxx You! della Jan 17 2014 3:22 am aaaahhh... when the next episode with English subtitle available?? cant wait to see. even i watched again and again Kimi Ni Todoke because of them!! well............... ILL BE WAITING!!!! *patient* *patient*. mairu_chan Jan 14 2014 6:46 am arghhhh... I want to watch it so bad!! I can't wait any more >.<!! nana-chan Jan 12 2014 2:07 am I already watched eps1, and it's good! Actually kind of see Sawako and Kazehaya (kimi ni todoke, Miura and Tabe already co-starred b4) in more ordinary version. But I like their chemistry. Even Tabe's older than Miura, they can make good couple, I think. mhickai Nov 16 2013 12:13 am Finally!!! hooooo. I can't wait to watch his new drama. La la la ~ I love you Haruma-kun. J-dorama is the best! Mischa89 Nov 12 2013 10:11 pm Awww Kimi ni Todoke cute couple. Finally, they reunite again ! Can't wait !